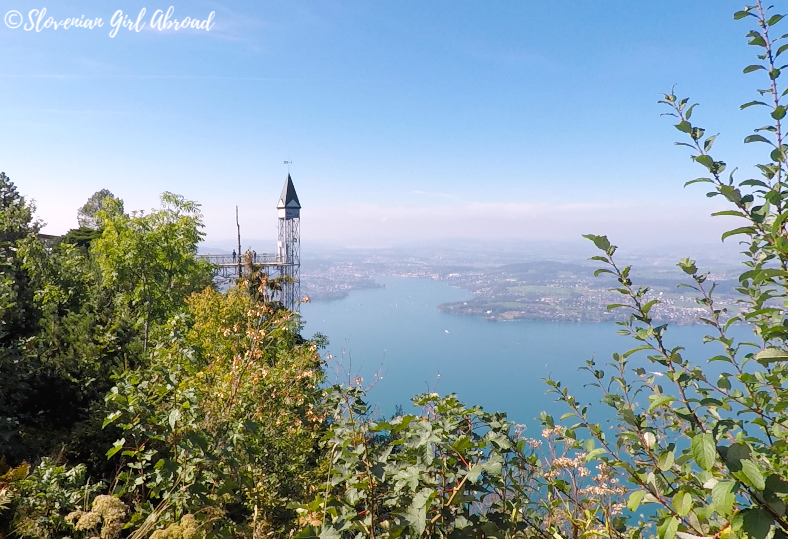 You might remember I’ve already been there couple of times – last time in December 2017 when I celebrated my birthday at the Alpine spa of the Bürgenstock Resort, but it has been even longer since I hiked to the highest point of the ridge Hammetschwand. Since it has been so long, I’ve noticed things changed a bit. With the luxury resorts open, Bürgenstock became much more accessible by the public transport. Now you can not only take the bus, but also a ship and funicular to get there*. Hence the easier accessibility, the amount of people at Bürgenstock and Hammetschwand increased a bit. On this trip, we hiked our favourite trail from Bürgenstock Resort to Hammetschwand, the trail we hiked many times before. Most of the trail runs through the woods and for that reason it might not be as scenic as some other trails in the area, but it still offers some beautiful scenery. It is relatively short – the distance of the whole hike (up and down) is according to my Polar watch a little less than 3km – and it is easy to conquer. At the top of the summit you can see the historical Hammetschwand lift – the tallest outdoor elevator in Europe and enjoy amazing panoramic views over Lake Lucerne, city of Lucerne and the Swiss Alps. If you find yourself at Bürgenstock, you might also consider taking more scenic Felsenweg (Cliff Walk), a scenic hiking trail on the edge of the ridge. But be aware, by taking this trail you would have to pay for overpriced ride (return 13 CHF, single 10 CHF) with the Hammetschwand elevator to get to the Hammetschwand. Also, Felsenweg is only open from May to October. If you want to hike to Hammetschwand outside this period or you would like to avoid paying for elevator ride, then the trail we took is is a hiking trail for you. *How to get to Bürgenstock? By ferry & funicular: Take a ferry from Luzern, then ride the funicular train up the hotel. 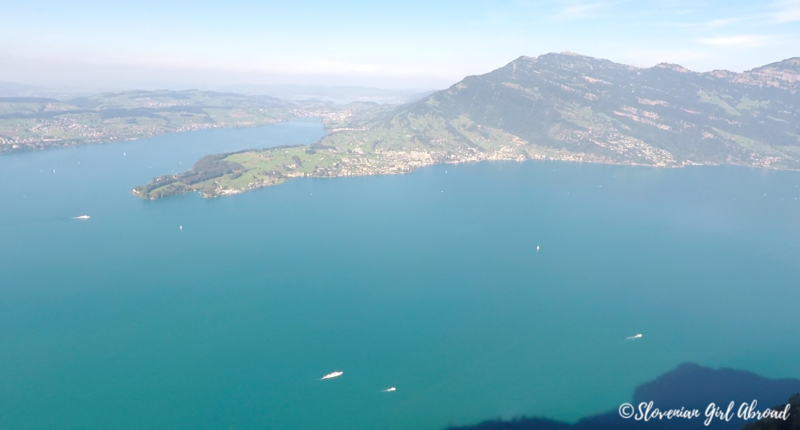 Be aware, this is an expensive journey: full price for round trip from Luzern will cost you 84 CHF. By train & bus: take a train to Stansstad, then a Postbus 321 up to the Bürgenstock Zentrum stop. Starting from Luzern this will take you app. 40 minutes and will cost you 15,60 CHF. I always marvel at the scenery in your posts and I imagine the air was also clean and crisp. Happy hiking :). looks delightful! And very pleasant indeed. Nice work on the video! When time is tight short, accessible walks like this 3km route are perfect. Even though it runs through the forest you still get some stunning views. Thanks for joining us on #adventurecalling. We’ll back open for new posts tomorrow morning.